Shoppers at Redmart, one of Singapore’s online grocery stores, are invoiced two hours after they have received their goods, removing the need to request refunds for missing or damaged items at the point of delivery. Not only has this reduced the volume of refund calls to Redmart’s call centre, but it has also improved customer experience for the online startup, which disrupted Singapore’s grocery market at a time when incumbent retail chains were just starting to build up their e-commerce capabilities. Jim Boland, Redmart’s chief financial officer, said the practice was made possible because the company’s financial enterprise resource planning (ERP) system provided the flexibility to manage customer orders down to the item level. 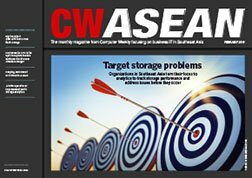 “This is a unique set-up for an ERP system – other companies have integrated systems that send summary-level data into the general ledger, but we are sending line-item data,” Boland told Computer Weekly on the sidelines of Oracle OpenWorld in October 2018. Such granularity had taken a toll on Redmart’s financial ERP system, however, which was managed and housed on-premise. As its business grew by 200% a year, with more than 10,000 orders to process each day, it started facing scalability issues as it had to handle an exponential increase in the amount of data to generate financial reports. Redmart also faced support bugbears, as its ERP supplier at the time had only provided remote support over the phone, making it hard to resolve problems quickly, said Boland. In the summer of 2015, Redmart decided to replace its financial ERP system with a cloud-native application. After evaluating the final shortlist of ERP suppliers, SAP and Oracle, Boland decided to go with the latter as it appeared to be more responsive to support requests and had an implementation team in Singapore. He was also familiar with Oracle because Amazon, his former employer, had been using Oracle software, which he said was geared towards the needs of large enterprises. As Redmart was seeking a new round of funding at the same time, the fact that Oracle offered finance to pay for licensing and implemented costs over time helped too. The deployment process began in January 2016, and it took a team of implementation experts from Oracle Consulting and Redmart’s internal IT staff just six months to complete the roll-out, which included software and user acceptance testing. Redmart also used the opportunity to tweak key systems and processes during the implementation phase, such as fixing some flaws in financial reconciliation, as well as building new functionality to support a marketplace of third-party suppliers from which its customers can also buy. Boland said the roll-out was successful, partly because of the decision to hire Oracle Consulting, which provided the resources that Redmart had demanded. The company also took on a substantial data migration exercise, developed application programming interfaces (APIs) to connect to other systems, and kept its previous financial ERP system intact and running in parallel while the Oracle system was being stabilised. “We set a go-live date of 30 June, giving us one month to fall back on in case anything went wrong and, indeed, we found an issue with the refund process that needed more testing,” said Boland. Unit4 is giving users the ability to tweak its ERP software easily without the need for consultants, turning the traditional enterprise software business model on its head. Asked if there were challenges in getting buy-in from stakeholders such as financial managers and the leadership team, Boland said the finance team welcomed the new system as “what they had was pretty terrible”. But Boland had to convince the company’s co-founders, as well as former chief technology officer Colin Bryar (previously technical adviser to Amazon CEO Jeff Bezos), on the switch. Apart from not having to worry about system upgrades, Boland said the Oracle cloud-based financial ERP system had slashed the time it took to close the books from 10 days to just three days. That proved to be critical in December 2016 when Redmart was acquired by Lazada, the Southeast Asia e-commerce unicorn that was acquired by Alibaba Group that same year.